We’ve all heard the whispers about how buying a plane ticket on a Wednesday is the way to go. Or how waiting a few days before your departure will yield cheaper results. Apparently, those tips aren’t just urban travel legends. 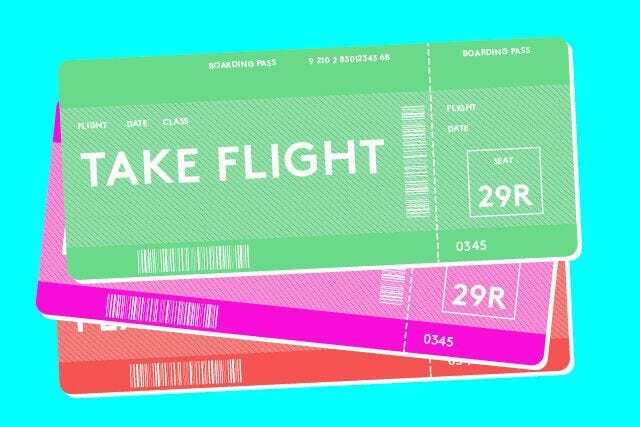 There is actually a science behind booking a cheaper flight. Travel company Cheap Air crunched numbers for a new study and discovered that there is indeed a prime time to book your flight — about 54 days before takeoff. The company looked at nearly 3 million trips and the lowest fare for each, from 320 days out to one day before the flight. On average, the cheapest ticket offering was on or around day 54. However, this wasn’t the case for all. For some flights, it was best to wait until the very last minute, while for others, 60 days out was the optimal time. Factors like far-flung locations, popular travel times, and more all played into it. This is why the company narrowed down the results by zones. Basically, there are five windows to book, ranging from "First Dibs" to "Hail Mary." And, on average, the "prime booking zone" is 21 to 112 days out. If you wait too long, you'll enter the Hail Mary zone, and prices will be about $200 more expensive than usual. Well, there you have it. Now, who’s ready to book an April getaway? Radika Apte is a true movie Buff !